The BI-FLEX runs from the main power supply or a battery. The Flexlite comes with a dimmer and a mount for 16mm studs, to mount it onto your stands or clamps and on each corner it has a Velcro enabling you to put it where ever you like, for instance to upgrade your old halogen softbox to LED. 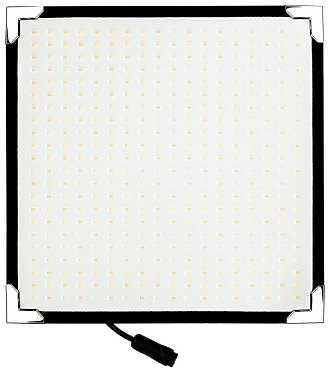 The Flexlite is a flexible panel light 30x30cm and is less than 5mm thick. Hire the Aladdin Bi-Flex Light from Procam. Best service and rental rates for the Aladdin Bi-Flex Light and all cameras, lenses, sound, lighting and grip.